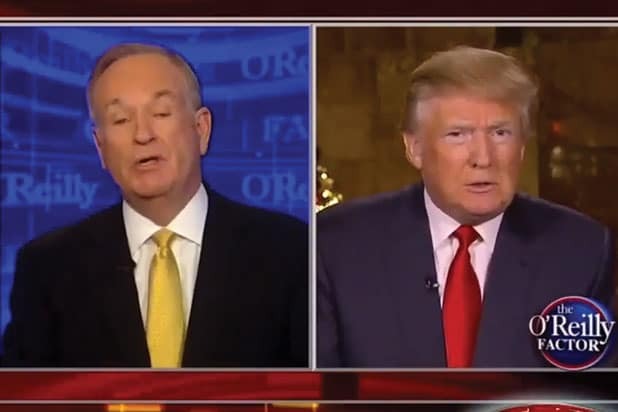 Bill O’Reilly has said he found no evidence to support Donald Trump’s claim that he saw “thousands” of Muslims celebrating in New Jersey in wake of 9/11, and confronted the GOP candidate on Thursday night. Although O’Reilly admitted that “there were people, not thousands,” he blasted Trump for exaggerating the number of people Trump claimed he saw. “Do you remember what country that was?” O’Reilly asked the presidential candidate. “It was a different country,” Trump responded. O’Reilly had investigated Trump’s claim of seeing “thousands” of people celebrating in the streets of New Jersey in the wake of 9/11 and found no evidence to back up Trump’s claim.